For most educators, presenting at a national education conference is a career achievement that only comes after years of teaching and learning. But a talented group of ACS ChemClub students from Moody High School in Corpus Christi, Texas, did just that this spring. 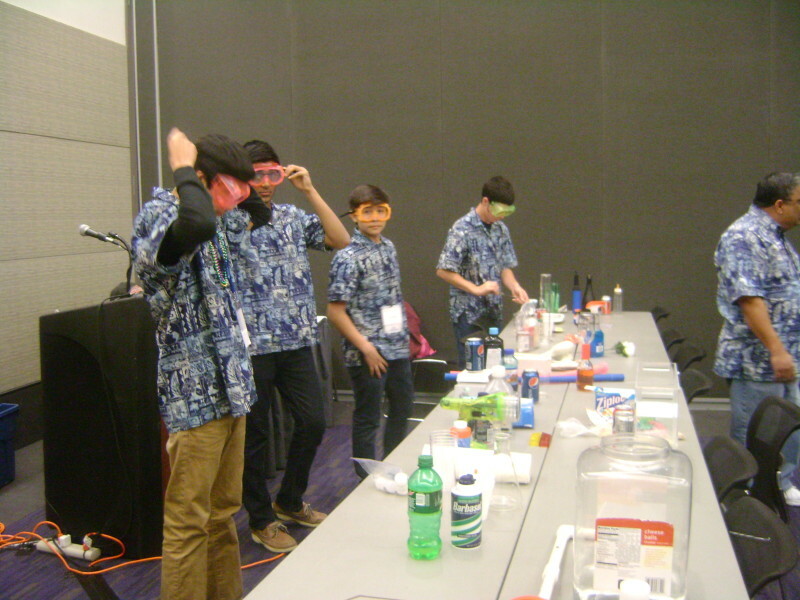 The ChemClub co-presented a session at the NSTA 2014 National Conference in Boston, Mass. Along with their teacher V. Dulip, they presented a session titled “A Demo a Week Makes Science Class the Peak”. Participants included V. Dulip, J. Abrego, J. Baca, V. Cantu, J. Fryer, B. Kinch, E. Macias, and S. Parbhu. During the session the group performed about 30 simple demonstrations with materials easily obtained from local stores. These demos were chosen to excite students’ interest and challenge them to do higher level thinking. The demos included making slime, bubbles, balloons, invisible glue, sinkers, floaters, color changes, and density. Sources for materials in the demos was explained, as well as how to get the maximum learning benefits from the demos. The session was well-attended and well-received by teachers. The students got to listen to Bill Nye, Mayim Bialik (from The Big Bang Theory) and attended sessions by Texas Instruments (TI) and Vernier Software. They also visited the campuses of Harvard University and Massachusetts Institute of Technology (MIT). 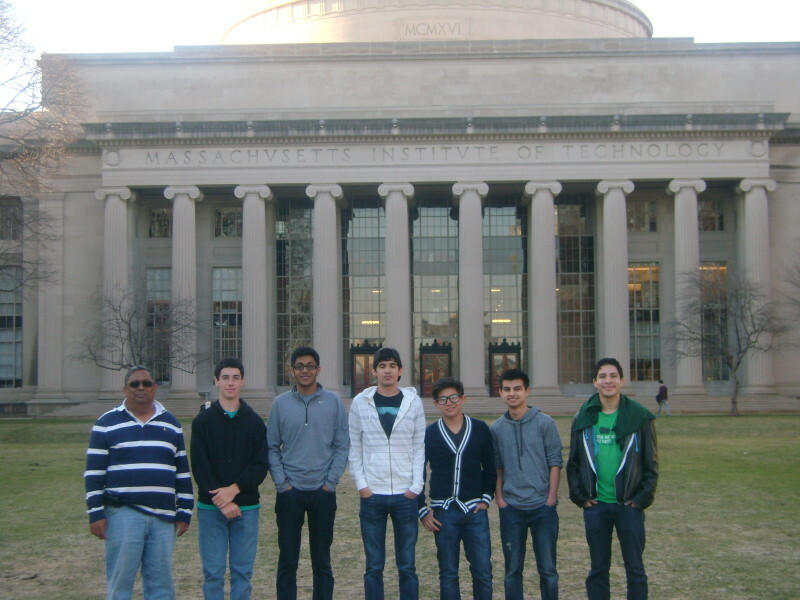 An ex-Moody and science club member gave a tour of the MIT campus. 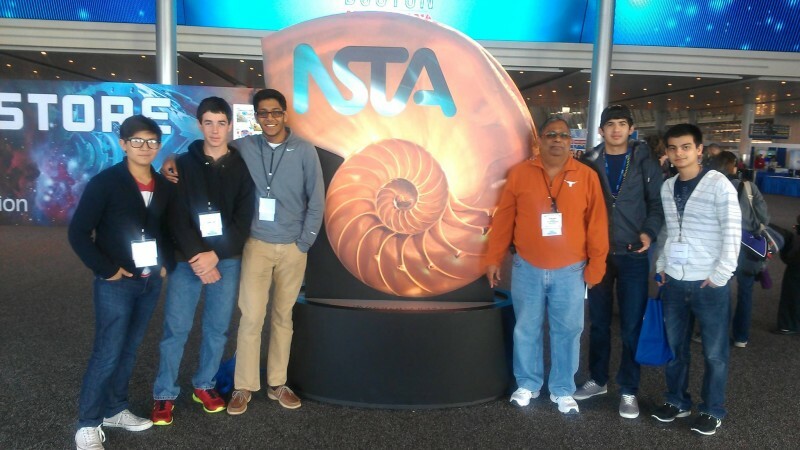 Funding for the trip was provided by Harte Research Institute, Texas A & M University–Corpus Christi, CITGO Corporation, and a local engineering firm Govind and Associates.